Whilst shoulder pain may only account for 9% of the most common causes for chronic pain, anyone suffering from pain in the shoulder will tell you just how much a shoulder injury can affect your day to day activities. Below we shall discuss the most common causes for shoulder pain. 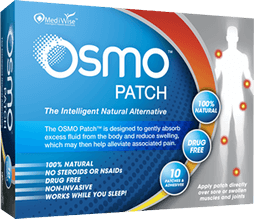 Click on any of the links to the common causes to learn more as well as how the OSMO Patch may begin your journey towards becoming Pain Free. Is shoulder pain keeping you from exercising or going to the gym… interfering with your work… or possibly affecting your Sleep? Did you know that out of all the common soft tissue injuries, shoulder pain would seem to account for one of the major causes of pain that directly impacts on the actual lifestyle and activities of many active individuals? Before your shoulder pain were you generally an active person or just trying to keep fit? Active individuals or people just trying to keep fit are often participating in sports or exercise and can understandably become very upset and frustrated when shoulder pain strikes them and reduces or even stops them from participating in these activities. If this is you then like so many others in your situation, you may have already made the mistake of trying to push through the pain…. just causing additional injury and resulting in further intense pain. Frustrated and feeling it’s unfair your injury occurred trying to participate in a healthy activity? Often people feel that it may seem unusual or unfair that shoulder pain should develop in a person that is otherwise healthy and active; however it is often this very active nature that makes this target group extremely susceptible to shoulder injuries. Did you know that identifying if your injury is acute or chronic could actually help expedite the recovery? The onset of shoulder pain may be either ‘sudden and acute’ or ‘slow and chronic’ and identifying which of these categories your shoulder injury falls into can be very beneficial in identifying and eliminating the cause. This can then dramatically expedite the recovery. Identifying what type of movements actually bring on or increase the intensity of the pain could also help to develop a strategy to assist with recovery! You may find that the pain you’re experiencing from your shoulder injury is not prominent unless your arm is raised or some type of sudden movement or external weight is placed on the offending joint. Alternatively you may be experiencing ongoing intense pain even whilst resting. Either way, the level of pain resulting from a shoulder injury can be quite considerable, which you are probably and unfortunately already only to aware of. Have a read of the list below; these are the most common causes of shoulder pain. Once you have identified your injury from the list (or if you just wish to learn more about a condition) then just simply click on the associated link to discover some of the possible activities or causes that should be avoided to reduce the risk of further injury. We shall also discuss the existing treatment options… and see how the OSMO Patch, our 1oo% Natural treatment is ideal for supporting the reduction of inflammation and the relief of pain caused by many of these common shoulder injuries. It can be said that most shoulder pain causes fall into five main categories: tendon tear or inflammation (bursitis or tendinitis), instability, wear & tear or fracture. Bursae are small fluid filled sacs which act as cushions between the bones and overlying soft tissues, helping to reduce friction between the muscles and bones. Impact or overuse of the shoulder can cause these cushions to swell, inflame and sometimes tear. This condition is known as shoulder bursitis. Normal activities like getting dressed or combing your hair can become difficult. Shoulder bursitis is very often the cause of shoulder pain and together with tendonitis are conditions that fall into a group of shoulder injuries more broadly known as a ‘Rotator cuff injury’. For further information and to discover how the OSMO Patch can help relieve inflammation and the associated pain due to medically diagnosed shoulder bursitis simply click on the link below. Tendons are cords connecting the muscles and the bones. Many cases of tendonitis occur due to the wearing of tendons in the rotator cuff of your shoulders. Excessive overhead activities in work and sports such as ball throwing can lead to tendonitis. Degenerative changes such as wear & tear can also cause tendonitis. For further information and to discover how the OSMO Patch can help relieve inflammation and the associated pain due to medically diagnosed shoulder tendonitis simply click on the link below. Shoulder instability can happen when the upper arm bone gets dislocated from the shoulder socket. This condition usually occurs due to overuse of the shoulder or as a result of a sudden impact or injury. Treatment usually begins with physical therapy and rehab and will depend on age as well as if there has been any prior dislocation. In addition to strengthening exercises often cortisone injections and anti-inflammatory medication is used. The OSMO Patch is a great natural substitute for painful cortisone injections and anti-inflammatory medication. Shoulder pain can also be caused wear & tear. This will commonly tend to cause irritation leading to inflammation and shoulder bursitis.